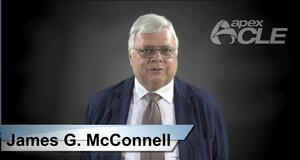 James G. McConnell concentrates in public and private construction contracting, arbitration and litigation. In his career of over 40 years, he has handled land acquisition, site remediation, zoning, contract drafting, financing, negotiations, arbitrations and lawsuits on major construction projects valued at more than $19.2 billion. During these years he has represented public and private owners, developers, lenders, contractors, suppliers, and title insurers. He has performed legal work on projects in Illinois, California, Nevada, New York and Texas. He received his law degree from Northwestern University School of Law in Chicago in 1973. He was admitted to practice in state and federal courts in Illinois in 1973, and he has been a member of the Northern District of Illinois Trial Bar since it was created in 1982. He was admitted to practice before the United States Court of Appeals in Chicago in 1973, and the United States Supreme Court in 1977. He has tried many civil jury cases in state and federal courts in Illinois, and he has been specially admitted as trial counsel in courts in seven other jurisdictions. He has handled numerous appeals, in the Illinois Appellate Court, the Illinois Supreme Court, United States Court of Appeals for the Seventh Circuit, and the United States Supreme Court. Across his career as a trial lawyer, Mr. McConnell has represented clients in hundreds of cases involving complex construction claims, and other international commercial, financial and insurance issues, including the British Overseas Trade Board, J. C. Decaux, the Consul General of Mexico, the Public Building Commission of Chicago, Blue Cross/Blue Shield, Exelon Corporation, Bethlehem Steel, American Bridge Company, United States Steel, Youngstown Sheet & Tube, and Zenith Radio. He has handled litigation concerning such familiar construction projects as Chicago's Millennium Park, the John Hancock building, and the Sears Tower. He has served as an attorney and as an arbitrator in international construction and insurance claims. Mr. McConnell is a national and international author and lecturer on public, private and international construction contracting. Most recently, he has been involved in construction negotiations and disputes concerning Millennium Park’s mixed public and private funded construction, Kennedy King Community College, Blue Cross/Blue Shield’s Vertical Completion, homeland security improvements at the Port of Chicago, the Mexican Consulate in Chicago, the Illinois International Port District, Chicago's Central Police Headquarters, Harborside International Golf Center, Soldier Field, the Midwest Center for Green Technology, the Chicago Center for Children’s Advocacy, Bronzeville Military Academy, and Chicago's Deep Tunnel storm runoff and flood control project. He has also handled litigation involving redevelopment of the former Glenview Naval Air Station property, the South Campus development of the University of Illinois at Chicago Circle, and the historic landmark Carson, Pirie, Scott & Company flagship store at State and Madison streets in Chicago.